For L&D managers, the shift to e-learning can be disorienting at times. To make this transition as smooth as possible, this blog provides L&D professionals with many insider tips and best practices from real-life e-learning success stories. 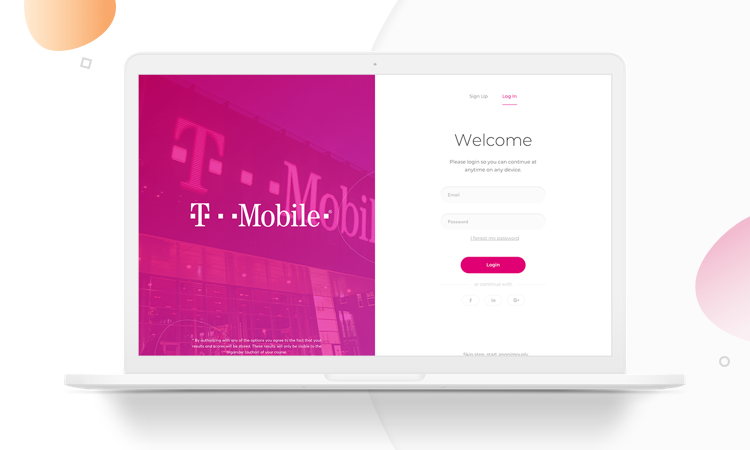 Below, you will discover how e-learning addresses the unique challenges of training employees in the FMCG world, and how major companies like T-Mobile, Electrolux and Nielsen have teamed with Easygenerator to modernize and improve their training outcomes. Scalability: Customer-facing employees need constant access to a vast and ever-expanding body of product knowledge. Training resources must be capable of reaching numerous employees across many different geographical locations. Fast pace of business: In the FMCG market, change is the only constant. With new products launching on a rolling basis, training content needs to be frequently and quickly updated. Lack of resources: Budgetary and staffing constraints within L&D departments today mean that L&D teams have no choice but to do more with less. Multinational, multilingual workforce: As many FMCG companies operate across international boundaries, training content needs to be translated and localized for diverse target groups. Faced with these challenges, along with the constant need to lower costs and improve efficiency, many companies are turning to e-learning and “blended” learning strategies. Blended learning is a selective combination of e-learning and conventional training methods. 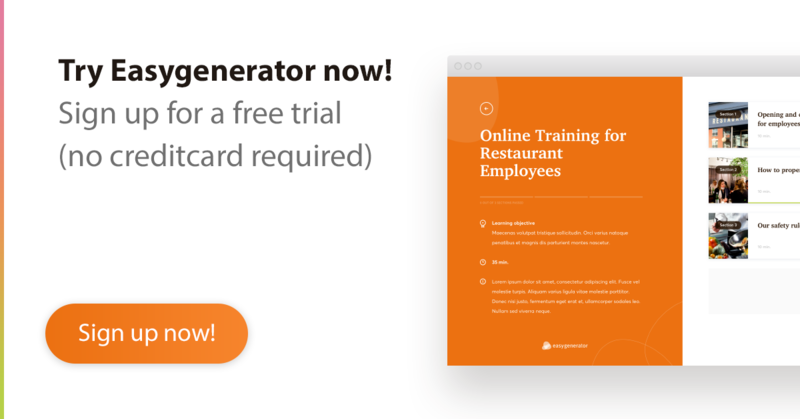 One particularly powerful e-learning strategy is what Easygenerator refers to as “Employee-generated Learning (EGL).” Under this strategy, employers provide their experienced employees access to easy-to-use training content authoring software. These experienced employees, known as “subject matter experts” (SMEs) create various types of training content and share it with their colleagues via a convenient online platform. This quickly leads to a large body of relevant knowledge, accessible at all times, even on mobile devices. With the right software, the process is fast and cost-effective, and learning outcomes and ROI can easily be tracked. Let’s look more closely at how e-learning, and EGL in particular, tackle the L&D challenges that FMCG companies face. Highly scalable: Unlike conventional, face-to-face training, e-learning content is published on an online platform where it immediately reaches a much larger audience. EGL expands the capacities of L&D departments even further by supplying them with a much larger number of content authors (the SMEs). As a result, content can be generated on a larger scale and quickly published. Flexible and agile: E-learning content can be continually updated to keep up with the pace of business developments. As long as the right software is used, modifying or updating courses is a fast and painless process. EGL makes this process even more agile, because it relies on real-life business insights from experienced employees themselves. Nobody knows the business better than these employees, and EGL taps into their knowledge to produce high-quality training content for everyone to benefit from. Achieves more with less: E-learning is often much more cost-effective and far less time-consuming than traditional training. EGL also shifts the burden of content creation to employees themselves, which reduces the strain on L&D teams. That frees up L&D to focus on specialized areas where their professional training expertise is required (such as general onboarding training, compliance and code of conduct training). L&D also plays a strategic, guiding role in directing SMEs to create effective training content. Learning without borders: Modern e-learning software includes built-in translation and localization options. Plus, in an EGL strategy, content can be created locally. That gives it the authenticity and relevance required for it to resonate with trainees, wherever they are in the world. Now let’s look at some key takeaways that Easygenerator has gained from helping to launch e-learning strategies at major international companies. We also list some of the incredible outcomes that e-learning has achieved for these companies. 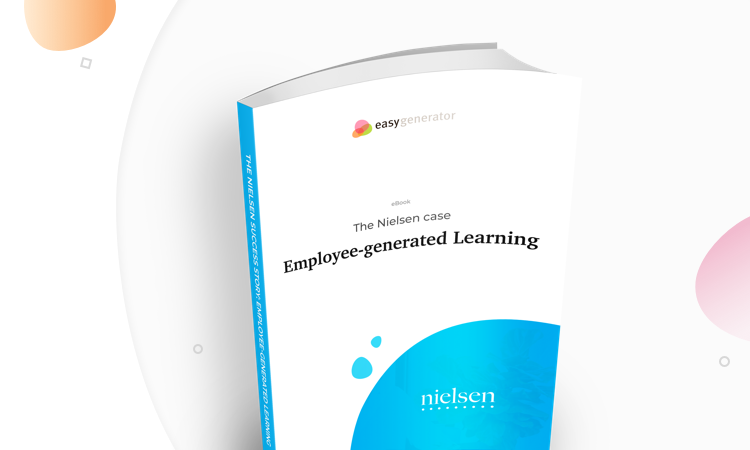 The telecommunications giant embraced Easygenerator’s Employee-generated Learning strategy to improve scalability and overcome limited L&D resources. Key takeaway: Introduce EGL with a small pilot program, then build on successes to gradually win trust within the organization and scale up. The number of training resources has increased by 500% using only 25% of L&D resources. After just 12 months, 100% of training requests are being fulfilled. Content creation is now 12 times faster. This iconic household appliances brand turned to a blended learning strategy to meet the heavy demand for localized training content for its retail partners’ in-store staff throughout the EMEA region. Key takeaway: Many subjects (including product, sales and support training) are ideally suited for e-learning. Conventional, in-person training can then be used more selectively to create an effective blended learning solution. 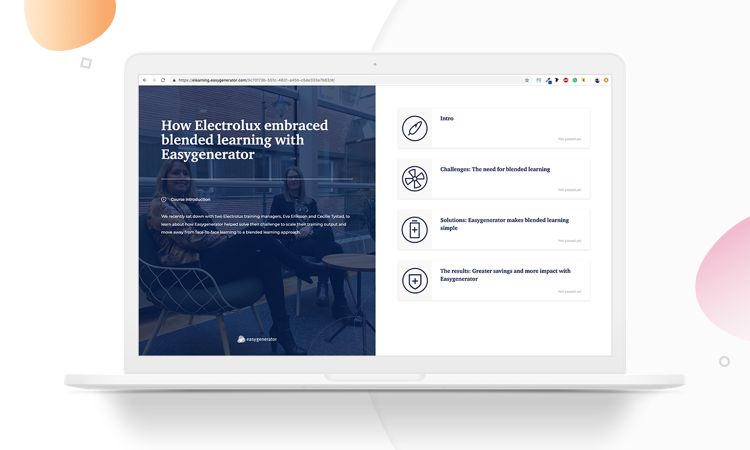 In just 12 months, the L&D team at Electrolux scaled to over 1,000 new learning resources. L&D costs have decreased, even as demand and content output have increased. The team now offers custom-made, localized training programs to its retail partners. The global data measurement company embraced EGL with Easygenerator to meet increasing ad hoc demands for training content from its various regional teams. Key takeaways: EGL reduces the strain on the central L&D team. It enables employees to self-serve their ad hoc training needs, while the L&D team handles high-priority training projects. Training content for 40,000 employees worldwide is now authored by a core team of 100 internal SMEs and another 400 external contributors. 85% of users found that Easygenerator was easy to use. As these case studies show, e-learning and EGL are highly beneficial to multinational companies like those found in the FMCG industry. The key to reaping these benefits is to provide an extremely easy-to-use content authoring tool like Easygenerator. This ensures a smooth launch and rapid scalability. As a result, companies can enjoy better training outcomes, often at a fraction of the cost.